May be one of the following values: Portrait or Landscape. For non-square rectangular paper types such as LETTER Portrait orientation means that you are printing on paper having the longer side of the paper sheet vertically, and in Landscape you have the paper sheet longer side horizontally. Height and width of the paper sheet in millimeters; the longer side length goes first. For the reports that have the Database Type property set to SQLite, the name of the database file with or without path. If the full path is not specified in this property, Oxetta will look for the database file in the folder where OXETTA.DLL file is placed. 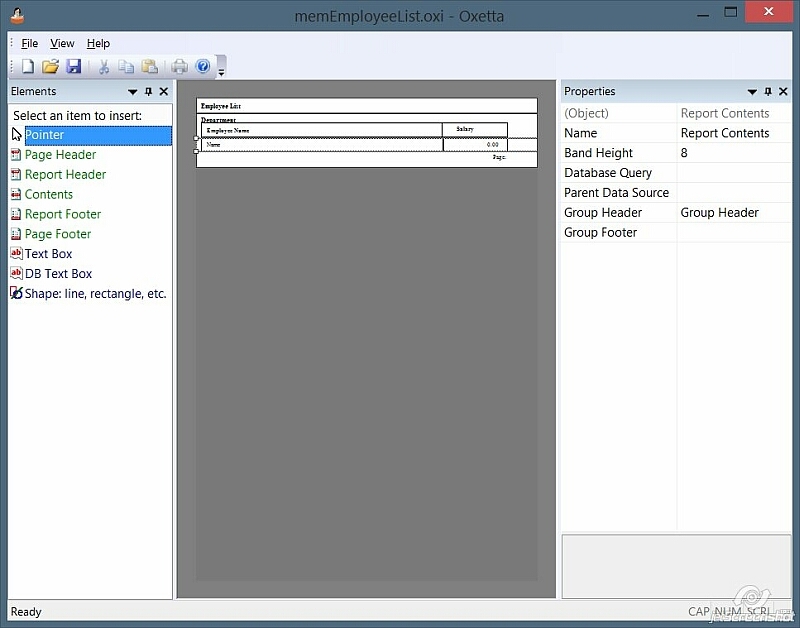 For the reports that have Database Type property set to ODBC, the ODBC connection string used to connect to the database, e.g. "DSN=SomeDsnName". For the reports that have Database Type property set to None, this property is ignored and never used.